The John Carver was a bark built at the Carver yard in 1841, well before Waldo Pierce was born. 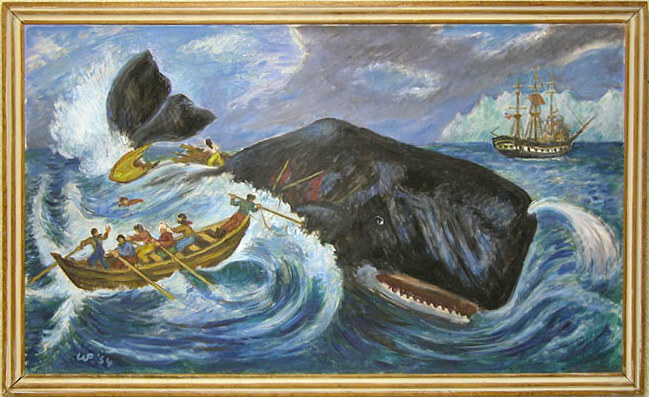 Until 1870 she was Searsport owned then sold to New Bedford as a whaler. 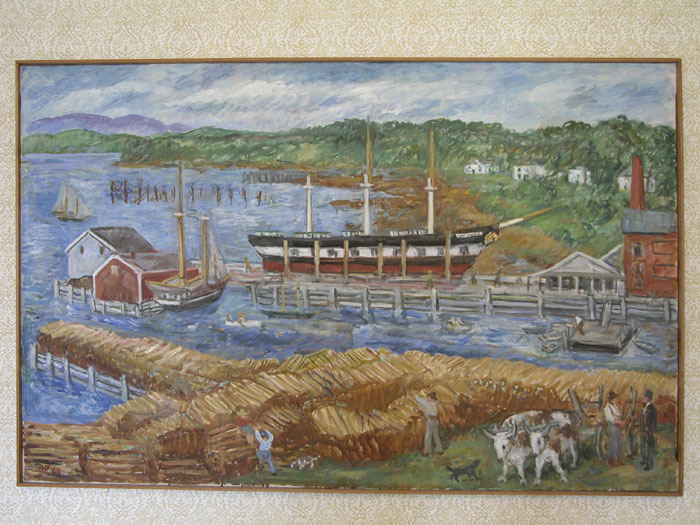 This painting does give the artist's impression of what the Searsport shore looked like, and shows the cords of wood in the foreground needed to heat houses in winter.